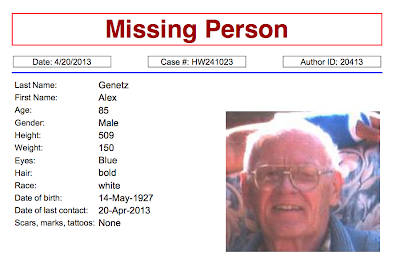 Update: CPD reported on Sunday evening that Mr. Genetz "has been located." Thanks to everyone who spread the word and kept eyes/ears open. The bulletin below was released by Chicago Police shortly after midnight Sunday. 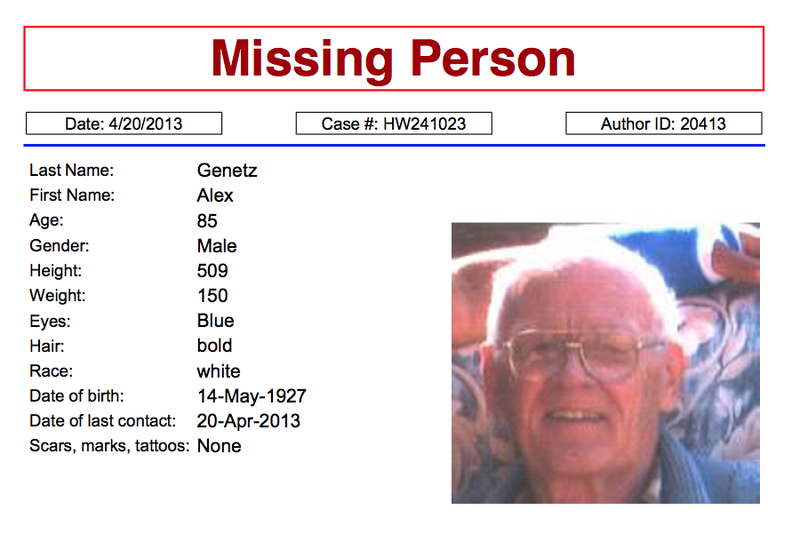 If you spot Mr. Genetz, please call 911 and alert them to his whereabouts so he can be brought to safety. the area of 79th and Harlem, Bridgeview, Il. Subject is forgetful and is a diabetic. Any update in this? Is he OK? On Sunday evening, CPD stated that Mr. Genetz "has been located."